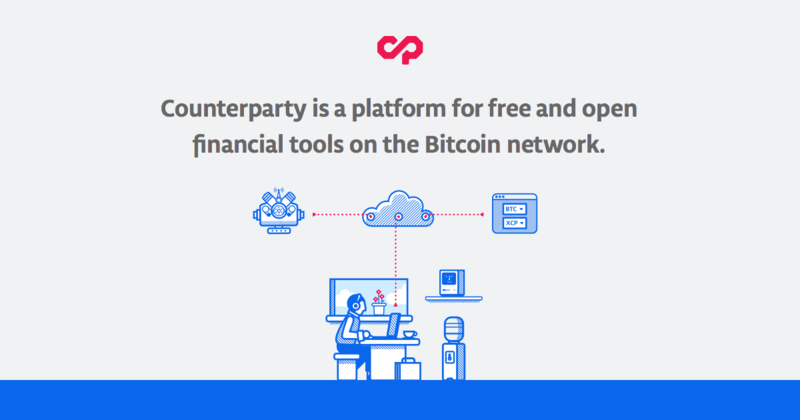 From Counterparty’s inception over a year ago, our focus has been consistently on the creation and positioning of this technology as a panacea towards structural issues in the larger financial markets. This is a long term vision, the impact of which is starting to materialize as we witness the nascent adoption of blockchain technology, beyond its initial use as a simple direct payments system. In a recent interview with CoinDesk, Evan and I mentioned we were no longer working with Overstock, and have instead started our own company. In fact, all three of Counterparty’s founders – Adam Krellenstein, Evan Wagner and I – have joined with MathMoney f(x) and its founder Mark Smith as the co-founders of Symbiont. Mark has over twenty years of experience in finance, and was one of the core people behind the creation of several large scale trading platforms such as the NexTrade ECN (rebranded as LavaFlow ECN), Lava FX, 2 regulated Alternative Trading Systems (ATS), and a commercial bank in Florida. For the purposes of bringing our vision to fruition, Symbiont will be using Counterparty and other blockchain-based technology to solve specific, identified issues in several segments of the multi-trillion dollar securities market. We have already raised significant interim funding, which will be followed by a formal Series A. Our choice comes as we wrap up large scale improvements to the Counterparty software suite, which has matured very rapidly (especially as of late). So far, over 180,000 Counterparty transactions have been made, often constituting a significant fraction of daily Bitcoin transactions. In addition, there have been three comprehensive security audits performed on the codebase. With the approaching release of the Turing Complete smart contracts system on mainnet, we are at the point where less work needs to be done on the core protocol and more on tools and services that make use of it. Symbiont is our next step in that direction. Because Symbiont’s technology platform will be based around Counterparty, the core Counterparty technology will remain open source, and will benefit from the greatly increased resources and sustainability this change brings. Moreover, the Counterparty Foundation will continue to exist in largely the same form, with both community and third-party industry voices being represented. In the near term, Symbiont’s team will work to upgrade Counterparty’s port of pyethereum, Ethereum’s Python-based virtual machine and Turing-Complete programming language to the latest proof-of-concept. This will make it production-ready for a mainnet release. In addition, we continue to make the core software more mature. With our enhanced resources, the team will also continue to significantly improve the quality assurance and test coverage around the software. We’re all very excited about the potential positive impacts not only to Counterparty, but to the blockchain’s adoption in the systems that power modern finance, and we thank everyone who has been right there with us thus far. This is our chance to see this technology put to use in a way that increases transparency, liquidity, and the overall functioning of the markets that impact us all in one way or another. You can read our official announcement here.